FERPA Rights. The Family Educational Rights and Privacy Act of 1974, as amended, (FERPA), as amended, specifically addresses the rights of students as they pertain to their education records. Education records are those records which directly relate to the individual student currently or formerly in attendance and are maintained by Fisk University. The following information serves as Fisk’s annual notification of the students' rights and provides links to valuable resources to help members of the Fisk community better understand their responsibilities under FERPA. 1. 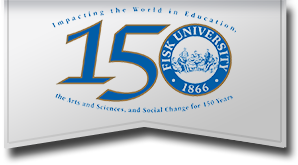 Fisk students have the right to inspect and review their education records within 45 days from the day the University receives a request for access. Submit a written, signed request to the director of the department maintaining the record being requested. Identify the record(s) to be inspected. State to whom the record is to be released. Indicate the purpose of the request. The university official will make arrangements for access and notify the student of the time and place where the records may be inspected. If the records are not maintained by the University official to whom the request was submitted, that official will advise the student of the correct official to whom the request should be addressed. Business Office: Student account files and Perkins loan information. Departments and Schools: Academic advising records, admission files, including ACT, SAT and placement scores, and high school and college transcripts and other scholastic records. Office of Financial Aid: Financial aid application files, student federal work-study information, scholarships and Stafford loan information. Athletics: Injury reports, scholarship contacts, performance records, height and weight information. Office of the Registrar: Permanent record of academic performance (grades, transcript, including supporting documents), course schedules, transfer credit articulation. Residence Life: Residential life and housing services files. Student Services: Career planning and placement files, advising files, international program files, services files, and learning assistance services files. Recruitment and Admissions: Admission files on prospective students. Campus Police : Police reports and records. 2. Fisk students have right to request the amendment of their education records that they believe are inaccurate or misleading. A student may request, in writing, that Fisk amend a record that he or she believes is inaccurate, misleading, or otherwise in violation of the student's privacy under FERPA. The student should write the university official responsible for the record (see above), clearly identify the part of the record the student wants changed, and specify why the record should be changed. If the University decides not to amend the record the student will be notified in writing of the decision. The student will be advised of the right to a hearing regarding the request for amendment. Additional information regarding the hearing procedures will be provided to the student when he or she is notified of the right to a hearing. 3. Fisk students have the right to consent to disclosures of personally identifiable information contained in their education records, except to the extent that FERPA authorizes disclosure without consent. The specific information to be released. The purpose for the release. The identity of the person to whom the information is being released. Signature and date by the student. Students may use the FERPA Release Form to disclose personally identifiable information. Person employed by the university in an administrative, supervisory, academic or research, or support staff position (including campus police and security personnel and health staff), acting in the student's educational interest within the limitations of their "need to know." Student serving on an official committee, such as a disciplinary or grievance committee, or assisting another school official in performing his or her tasks. Outsourced vendors are those parties helping the university provide students access to services relating to their education. For example, the bookstore will be provided with course schedules to assist students with procuring textbooks and other course materials. The university may disclose a Fisk University student's education records, without consent, to officials of another postsecondary education institution in which the student has applied or seeks to enroll. Fisk students have the right to have the release of their Directory Information blocked. Students may apply and remove a block by the Directory Information Non-Disclosure Form is also available to make this request of the Office of Registration and Records. FERPA Blocks remain in effect until the student removes it or notifies the Office of Registration and Records, in writing, to remove it. Fisk receives many inquiries for Directory Information from a variety of sources outside the institution, including friends, parents, relatives, prospective employers, the news media and honor societies. Having a Directory Information Hold on the student's record will preclude release of such information, even to those people. A non-disclosure hold applies to all elements of directory information on your record. Fisk does not apply a non-disclosure hold to individual directory information items. The University assumes no liability as a result of honoring your request. Fisk assumes no responsibility to contact you for subsequent permission to release the hold. 5. Fisk students have right to file a complaint with the U.S. Department of Education, Family Policy Compliance Office, concerning alleged failures by the university to comply with the requirements of FERPA.